Another exciting value add feature is now available to grow more RMR! We're happy to announce 2-factor authentication which has been available on the Connect ONE Dealer Site has now also been added to the Connect ONE Customer Site in accordance with our commitment to ensuring data security. Your customer can enable 2-factor authentication for any user. They may also require 2-factor authentication for users which is specified within their login profile. 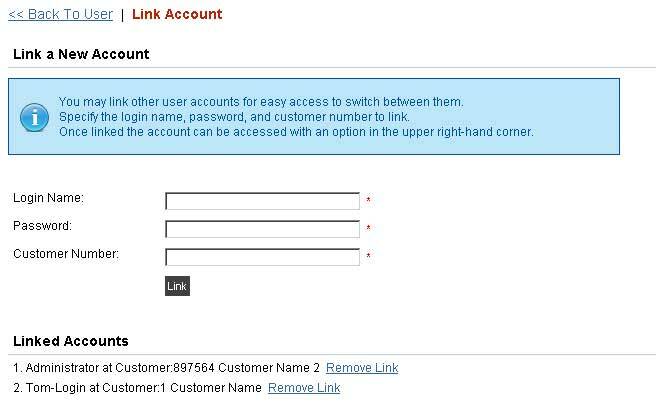 When enabled the user must enter a 6-digit authentication code after providing their username and password. The 6-digit code is generated via an App such as the Google Authenticator App and is valid for only 30 seconds. 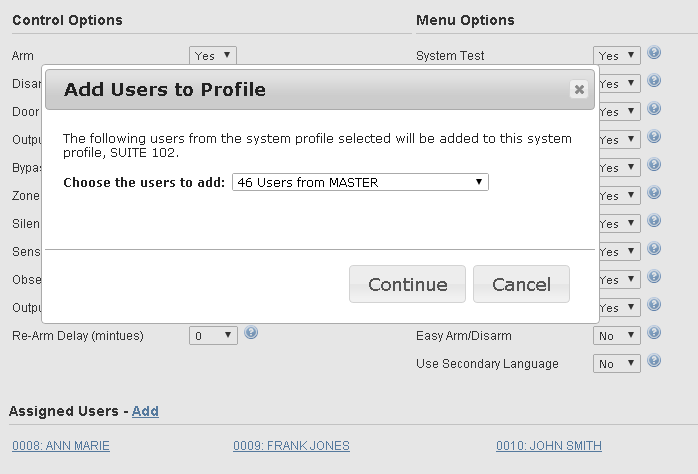 We released a new System Profile Option which allows you to set a master permission. The option is selectable by the dealer under the Device->Profiles menu of the customer account section on the Dealer Site. The option sets the following: Show & Modify, Show Only, or Do Not Show. 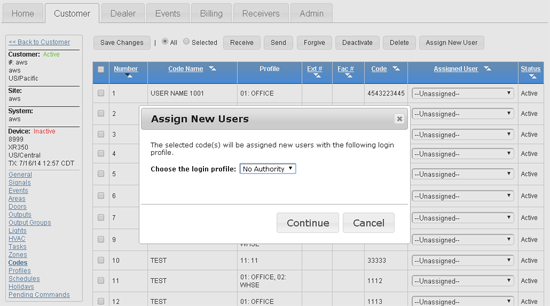 If set to Show Only the profile cannot be modified by the customer regardless of their permissions. If set to Do Not Show the profile will be hidden from the customer selections. This option is helpful if there are certain profiles which should be restricted from customer use. 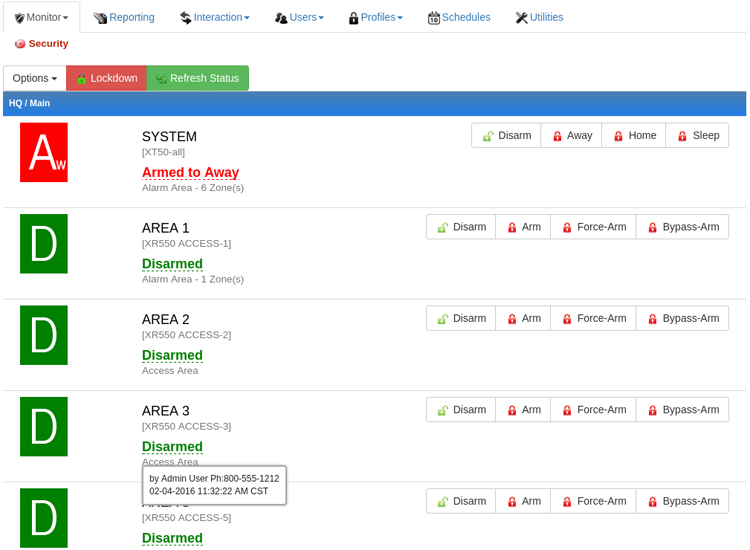 If there is a warning message when arming because of faulted zones, authority issue, etc., the message now appears below the arming buttons, previously the warning message was only displayed on the Activity page. 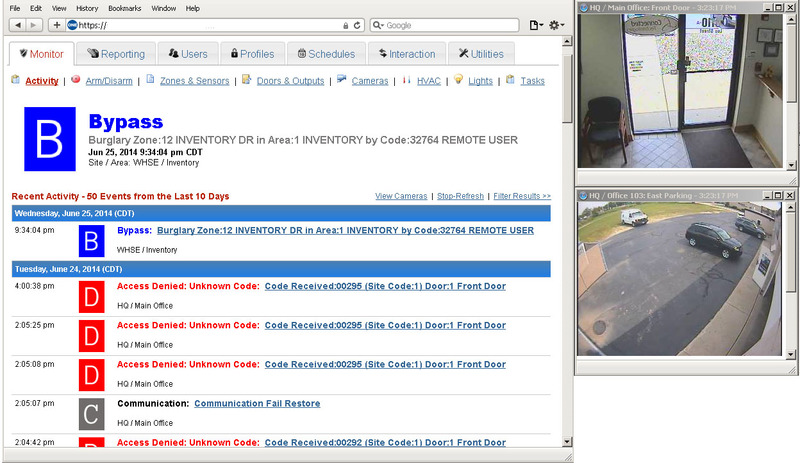 We recently added support for Geovision IP Cameras. 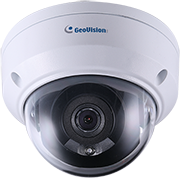 These cameras support authentication protection supported in all browsers and in both the Apple and Android Applications.New Time Saving Feature when Configuring IP Cameras Now you can setup multiple cameras within the same device account even though the cameras are assigned to different IP addresses and ports. This is a more convenient option than creating a new device account for each IP camera as was previously required, saving on setup time. 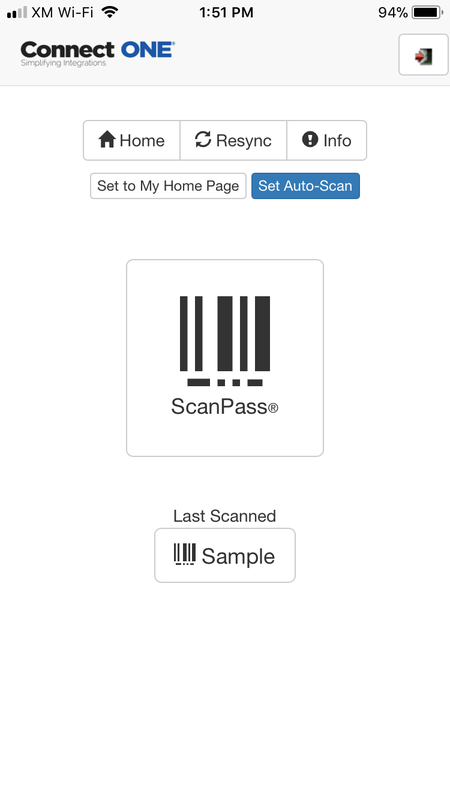 We’re happy to announce a new feature for ScanPass Mobile Credentials called Auto-Scan. 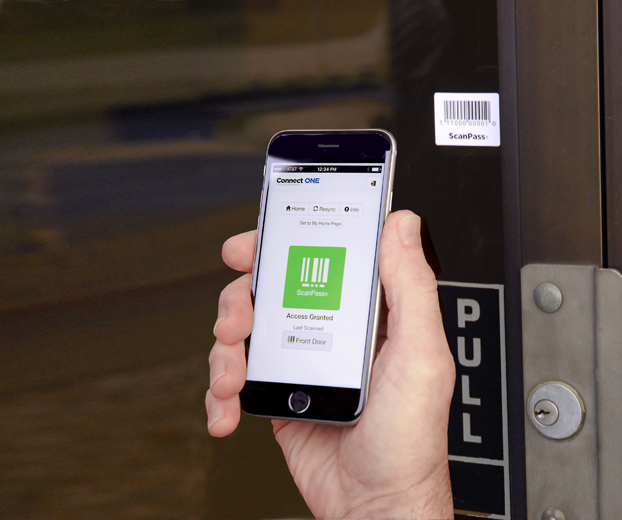 Auto-Scan allows you to simply press the Connect ONE App and present the phone to the door. That’s it. When Auto-Scan is disabled the user must press the ScanPass icon on the App and then present the phone to the door. 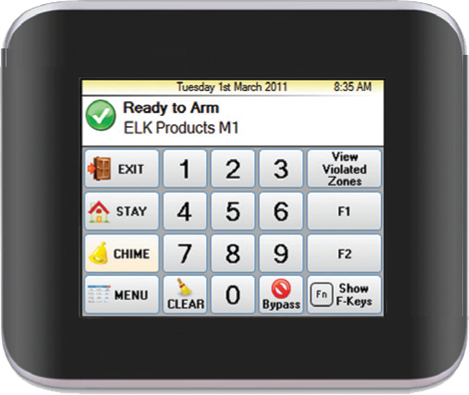 Auto-Scan simplifies and cuts down on the entry time for accessing the door. 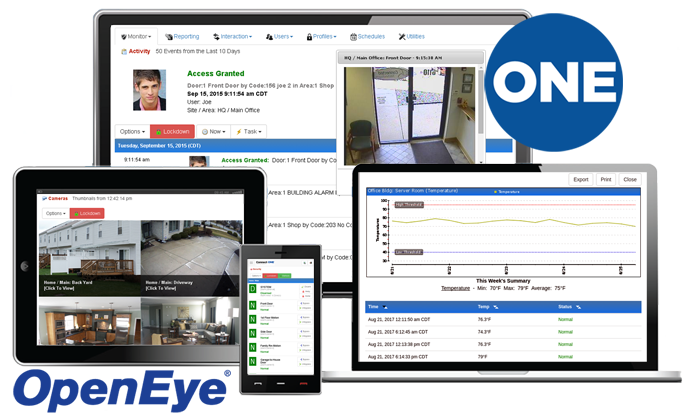 We're happy to announce 2-factor authentication has been added to the Connect ONE Dealer Site in accordance with our commitment to ensuring data security. 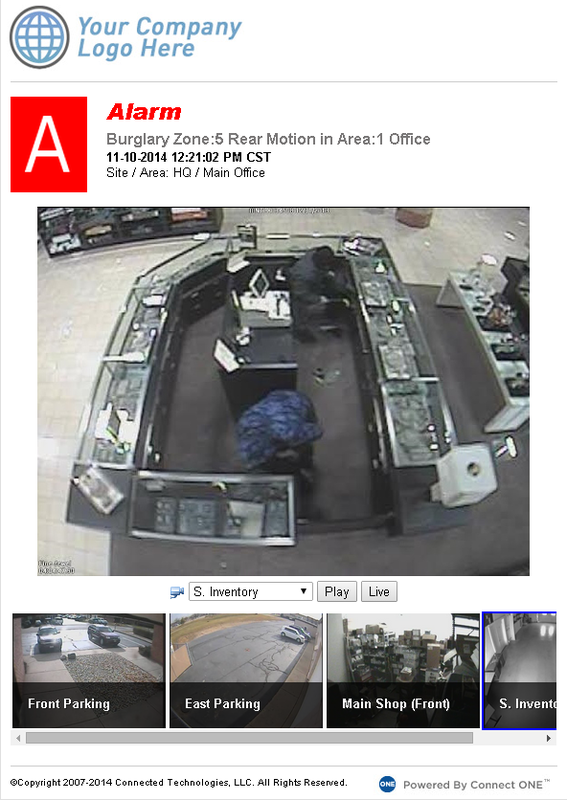 You can enable 2-factor authentication for any dealer user. You may also require 2-factor authentication for users which is specified within their login profile. When enabled the user must enter a 6-digit authentication code after providing their username and password. The 6-digit code is generated via an App such as the Google Authenticator App and is valid for only 30 seconds. We’ve recently added support for DoorBird video doorbell devices. 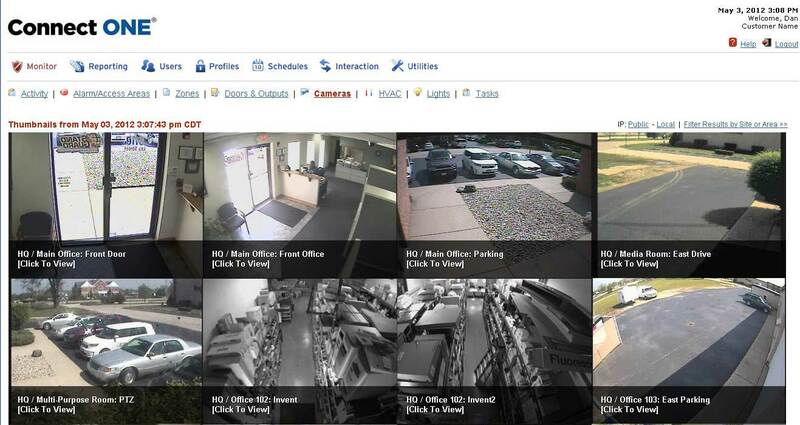 Your customers can now: 1) View Live Video 2) Open the Door from the Video screen 3) Open the DoorBird App from the Video screen for 2-way Audio 4) Integrate the Video with Alarm/Access events from the Alarm Control Panel for Video Verification DoorBird models include residential and commercial applications perfect for locked entry points in access control applications. 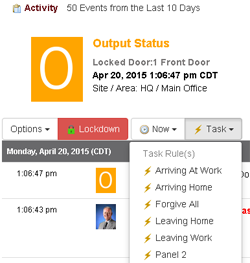 A Task Rule is a way to group multiple commands and activate all in a single action. 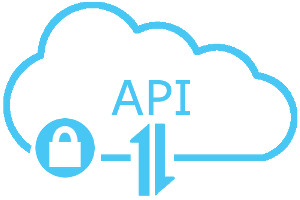 Task rules may be activated manually, in response to an event, with a delayed time up to 4 hours, from a 3rd party service such as IFTTT, and now with a future scheduled date/time. The future activation date/time means that you no longer need to remember to manually activate the task rule a few days from now. 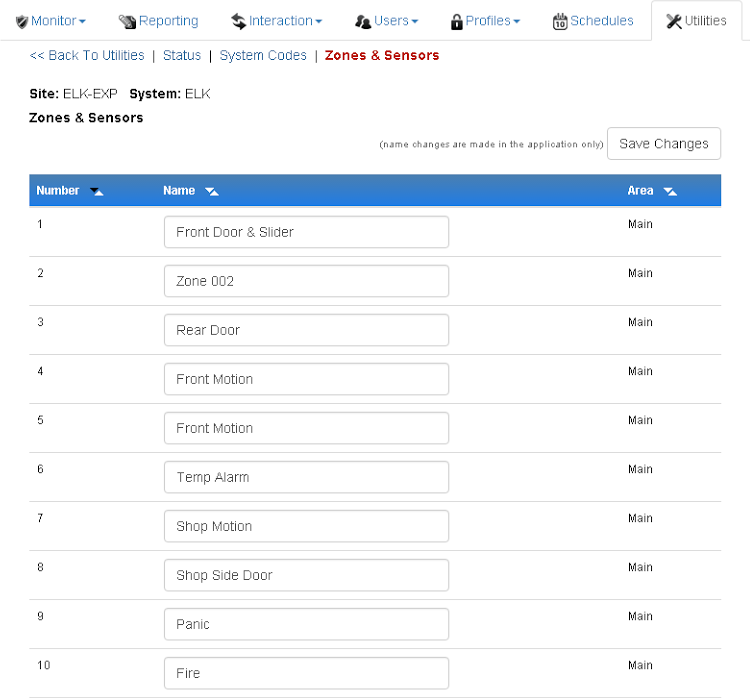 Now you and your customers with Bosch B/G series control panels can upload a list of codes and cards from a comma separated values (CSV) file. 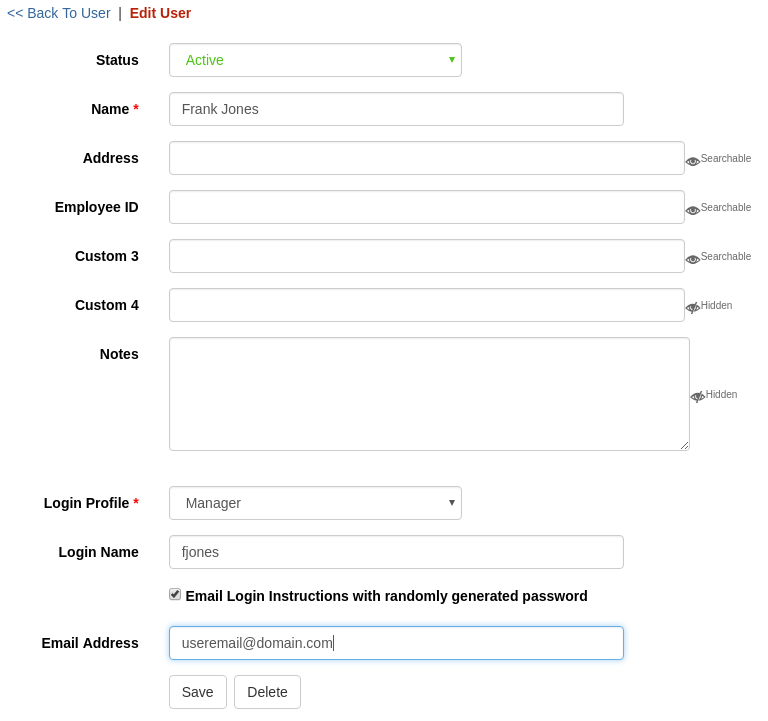 The file can include user name, code, card #, external card #, area authority levels, login profile, and up to 5 custom fields. We're pleased to announce the addition of sunrise/sunset schedule options in a Time Window for DMP XR series control panels which were added in firmware version 171. Options now exist to start/stop a time window at sunrise or sunset with offsets of up to 60 minutes before and up to 60 minutes after the rise/set. A new feature has been added which captures bounces from event notifications to your customers' email and/or text message addresses. 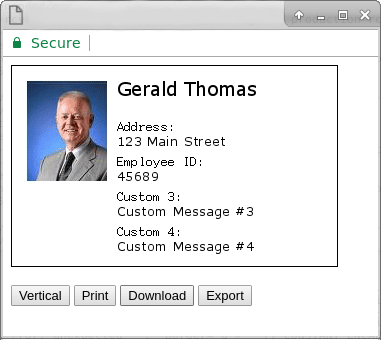 Your support email will receive the notification so that your customer's contact information can be corrected and prevent them missing any important messages from their connected systems. 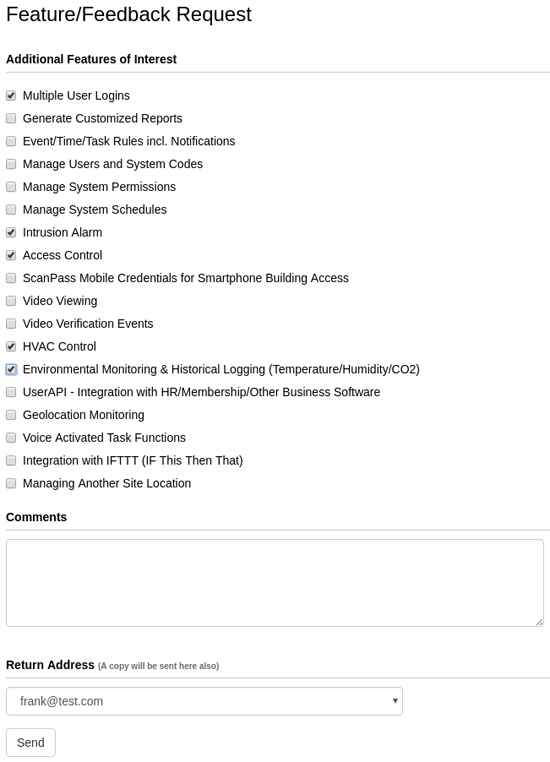 A new dedicated IFTTT webhook trigger has been added to the Connect ONE Task Rule Actions. 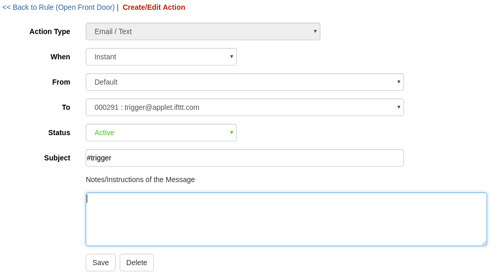 Now a trigger action can be sent into the customer's IFTTT recipes to trigger any number of IFTTT connected services. 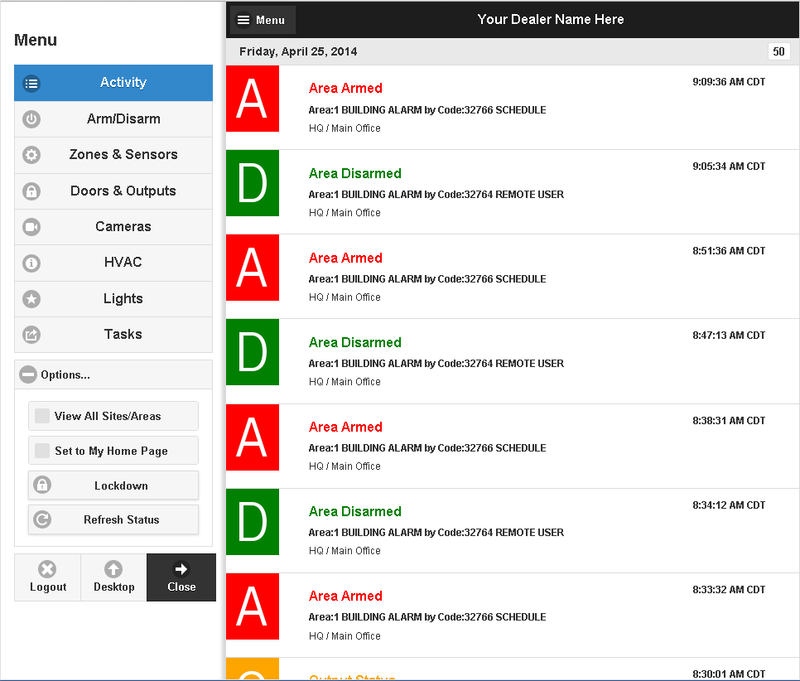 Now you can customize even more of the customer application. 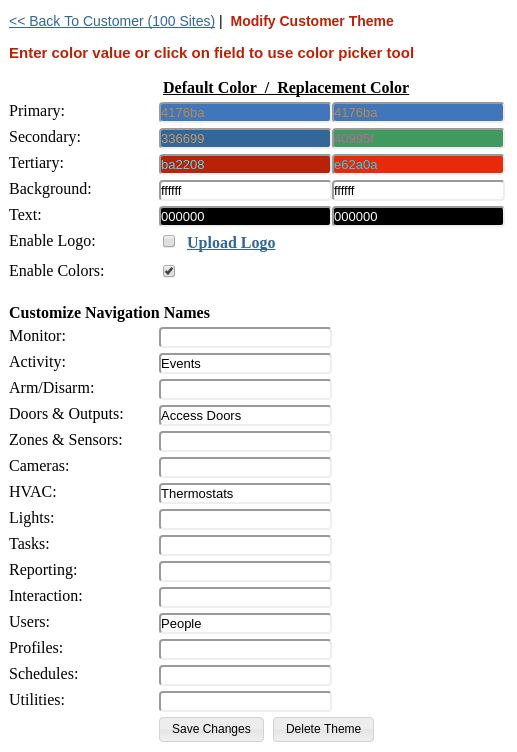 Along with the ability to customize the color scheme and logo image on the customer interface for each individual customer you can now also customize the navigation names. This allows you to completely tailor the application to fit the individual use of your customer's system. 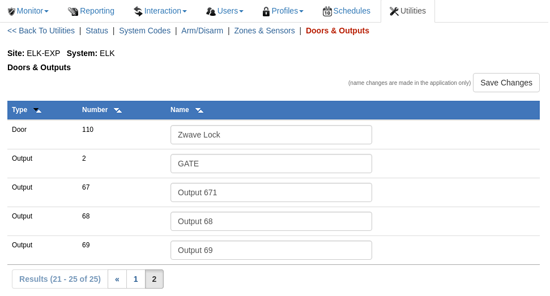 For instance, you could rename the Doors & Outputs section to Access Doors, or Users could be renamed to People. 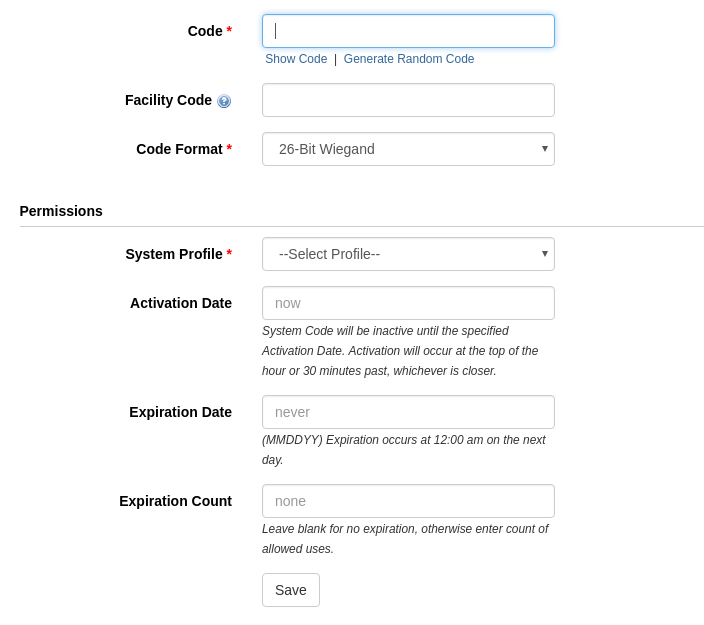 A new report detailing system codes that are expiring soon or have already expired can now be generated. A new option has been added to the report filters to select users by profile. 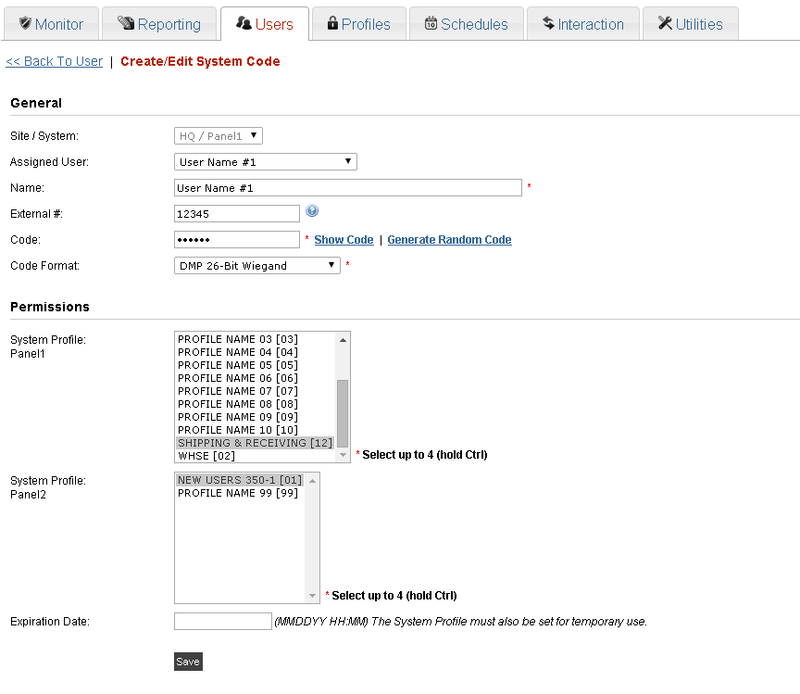 This provides a method to easily select a group of users rather than each user individually. Also it allows for simpler interaction event rule management, since if a profile is selected as the filter, the rule will automatically include a new user in the profile. Previously the report filter would have to be updated so that the new user is reflected in the rule. We are excited to announce support for Nest indoor and outdoor cameras. Now you can install Nest cameras for your customer and they may be viewable within Connect ONE. 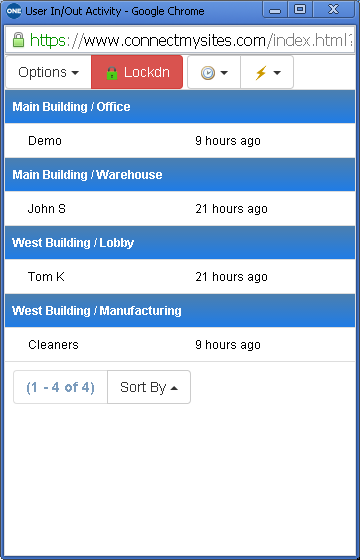 This includes the ability to view multiple locations on the same screen. 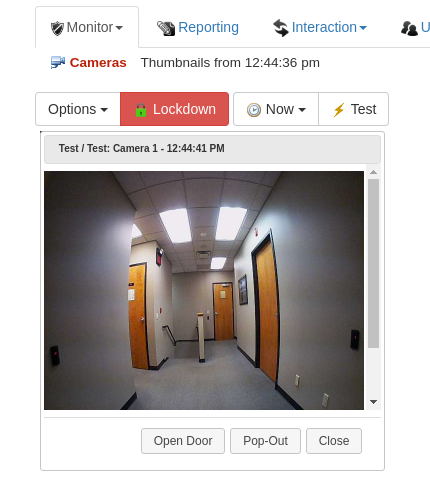 Support also includes capturing snapshots via Video Verification rules. Video Verification can occur for any event including but not limited to alarm and access events. 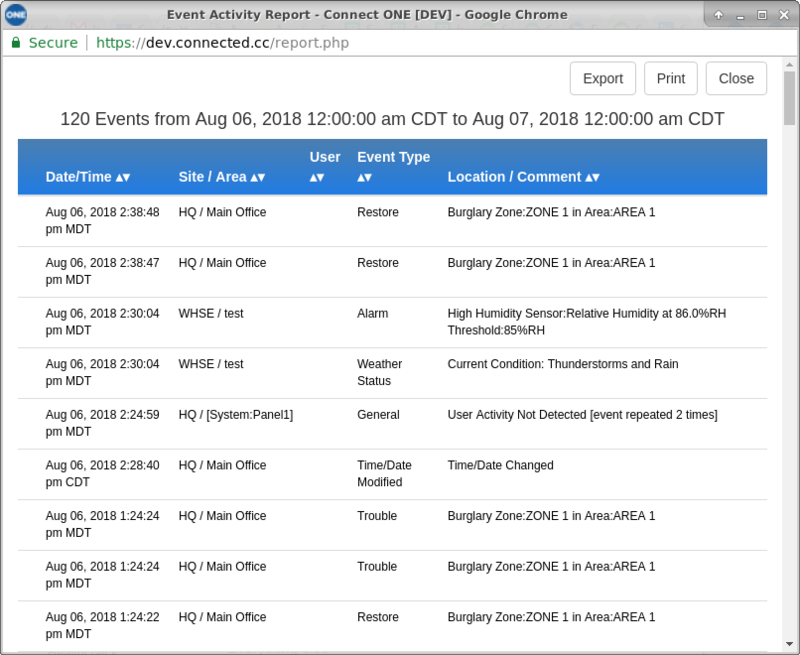 The Nest Cameras also provide Live Audio within Connect ONE, on-demand and while live viewing a video verification event. A security dealer of a multi-location bank institution asked us for monthly open/close reports rather than the current daily or weekly options. The bank's financial auditors required a monthly log and therefore the bank manager requested to receive a monthly report rather than piece together multiple weekly reports. As always we were happy to accommodate their request and now all of your customers on the PRO service level have an option for Daily, Weekly, and/or Monthly automated reports. Bosch's Remote Connect service offers connectivity for Connect ONE and RPS without port forwarding and it universally allows for ethernet and/or cellular connection options. 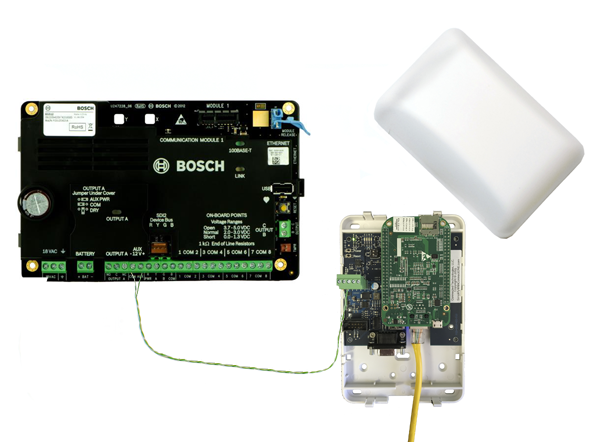 Network connections are provided with the onboard ethernet port and cellular connections are provided using the Bosch cellular radio add-on module. 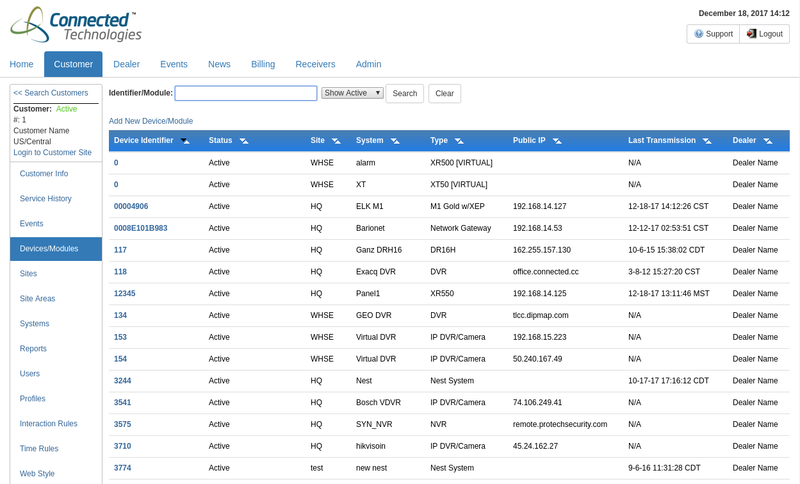 Router and firewall configuring is no longer necessary when using the Remote Connect service. 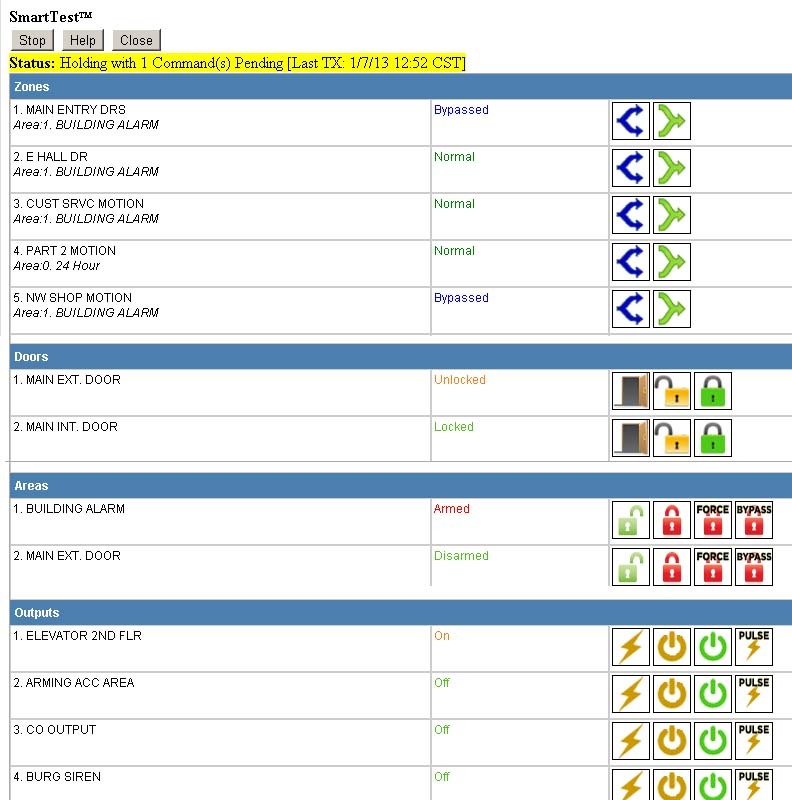 Now your customer can configure low/high alarm threshold levels for temperature and humidity sensors on their own. 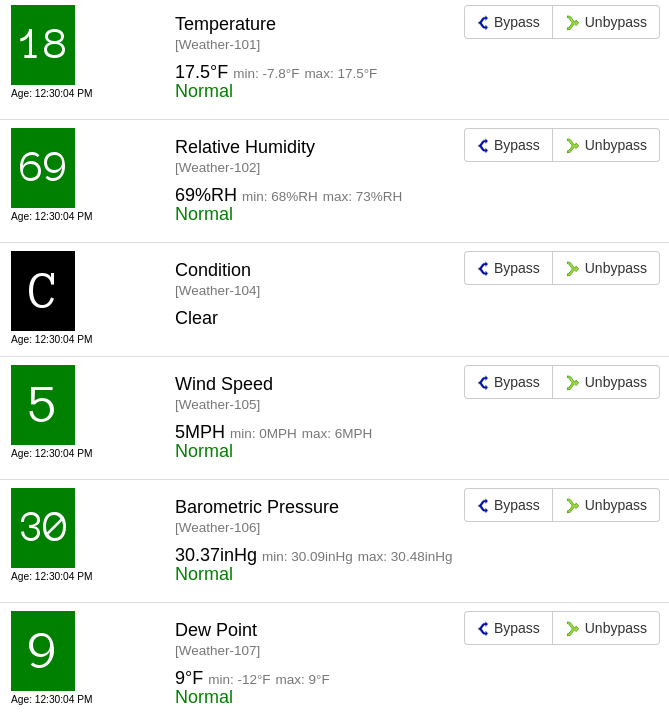 On the Utilities menu they can select Zones & Sensors and rename each sensor as well as set/adjust the low and high threshold level. Any change will be logged with the old and new value as an event. This will prevent any possible contention of who made the change. Previously this was a feature reserved for the dealer on the Dealer Site, now the dealer does not need to be involved with the decision of threshold level. 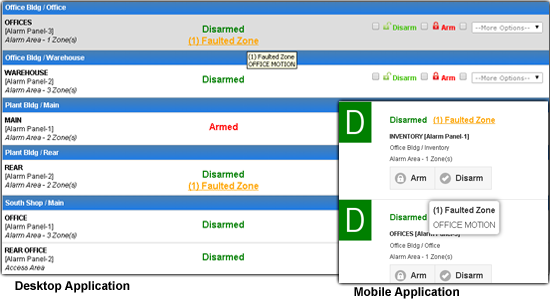 Now you can see who last armed or disarmed right from the Arm/Disarm menu where you can also change the arm status. 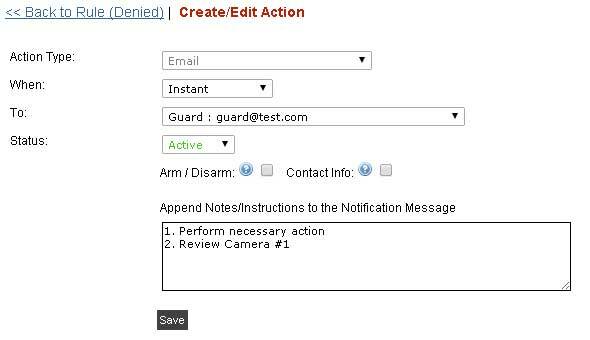 This allows a quick reference to see who last armed or disarmed along with the time/date and the user's phone number to contact if needed. 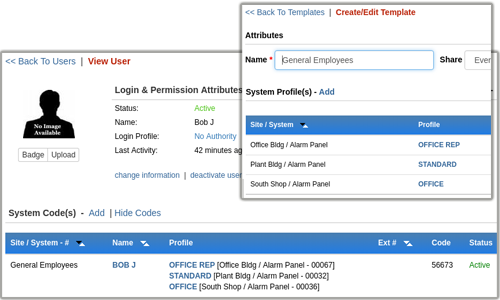 Now you can add/modify/delete output groups on DMP XR panels right from the Dealer Site. Previously this task had to be performed in RemoteLink. Output groups are mainly used for Elevator Control with DMP panels. Now you can regroup floors quickly and effortlessly. 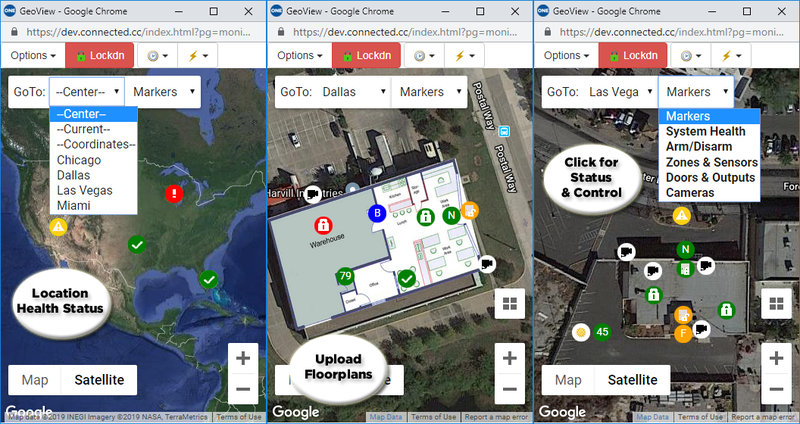 For even better elevator control, view the Connect ONE Access Expander, which can handle multiple cabs and floors seamlessly in a user's profile. Bosch Skeds are now supported in the B8512G and B9512G control panels. 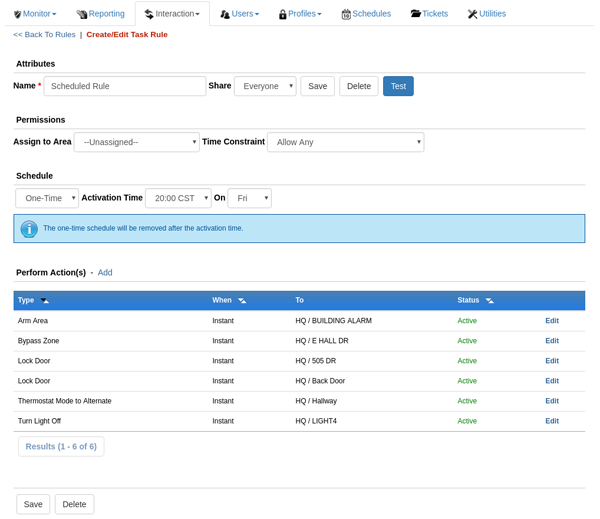 Customers can now edit existing skeds programmed in the control panel to modify the time/date, days of the week, and holiday execution of the schedule. 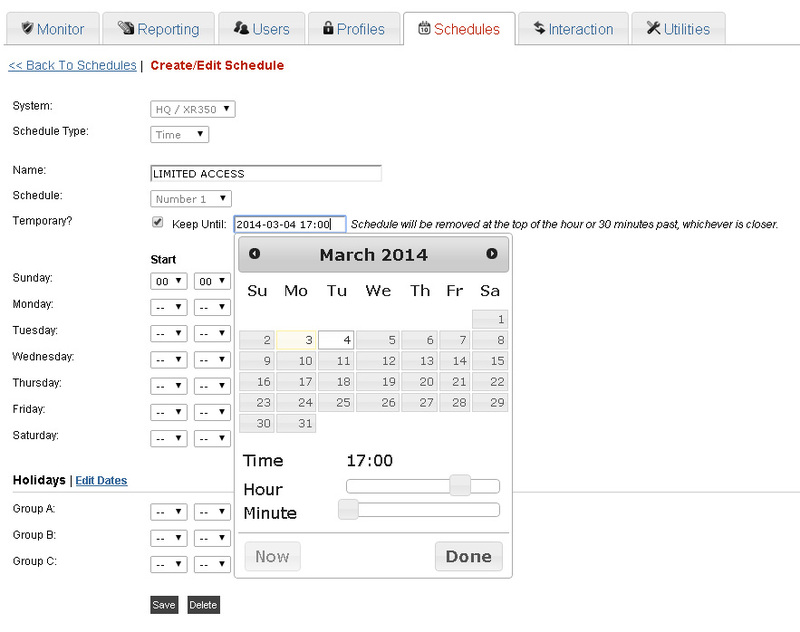 Skeds appear on the Schedules tab of the Customer Site. 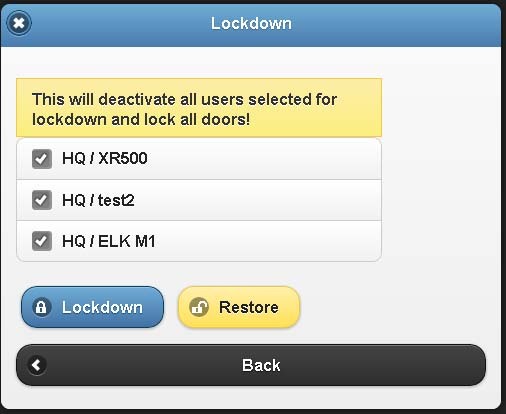 DMP recently announced version 111 firmware for the XR550 control panel which expands its access control capability from 16 doors to 96 doors. 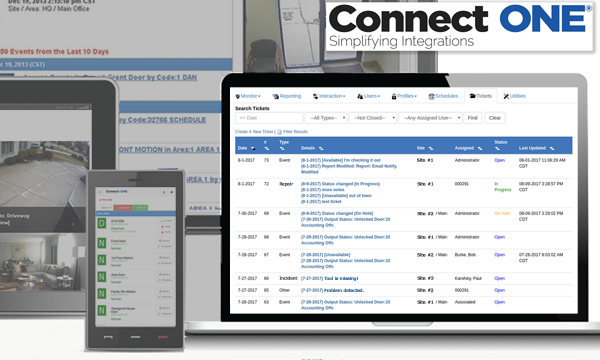 Connect ONE fully supports the additional door capacity. A XR550 panel is now 32 door capable out of the box with two additional 32 door feature codes which can be ordered separately. This will accommodate larger systems without the necessity to stack control panels. The mobile App for Apple and Android devices now supports all management functions New functions include: Reporting (Event Detail, In/Out, Exit Exception, Historical Temperature/Humidity & Custom) Interaction (Event Rules, Time Rules, Task Rules) Users & System Codes Profiles (Login & System) Schedules Utilities Previously the App was capable of the controlling functions provided in the Monitor section. The App was deigned for seamless operation since the look & feel is identical to the Browser version and a common Login Profile restricts the App and Browser permissions alike. 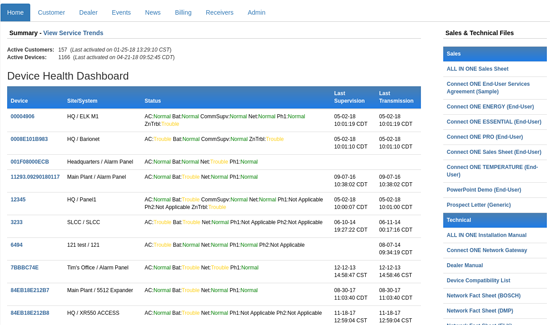 A new page has been added to the customer site which allows an Administrator to edit the names of the zones in the panel. Name changes from this page do not alter the names within the control panel. 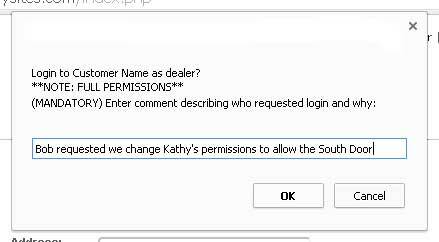 The change is made for the customer site only and the dealer site will retain both names, the customer chosen name as well as the panel name. 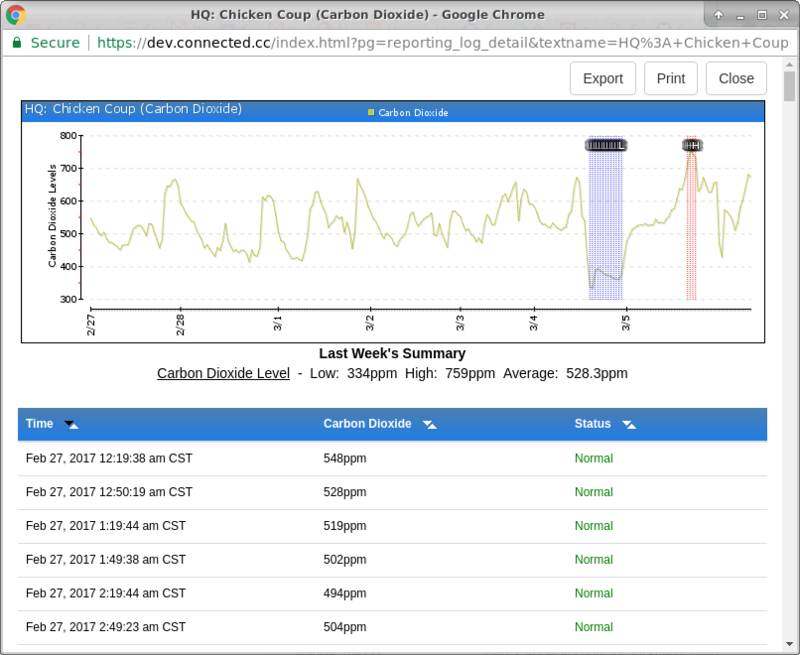 This new page is located in the Utilities section of the customer site. 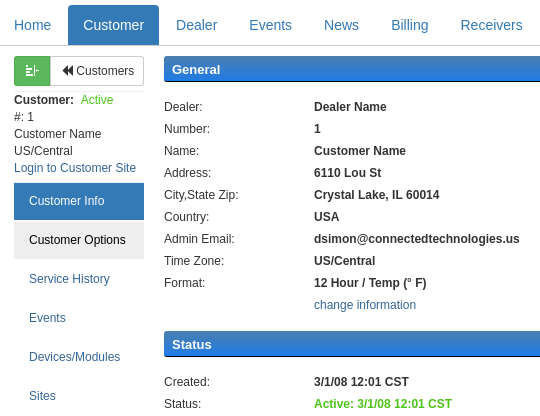 This new feature gives your customer the flexibility to customize their system without requiring dealer intervention. We’ve improved the command processing wait period which exists when processing commands with a device selected for the network/cellular direct connect method. Your customer should now experience near instantaneous control. 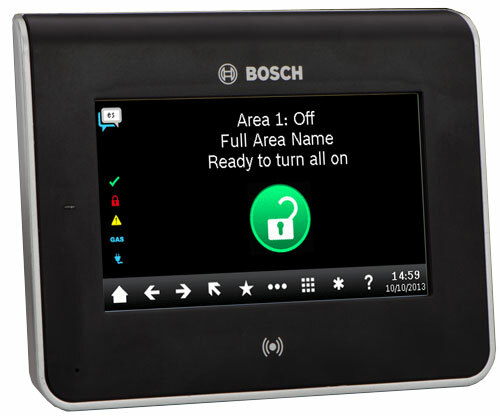 Now your customer and/or your customer support staff can manage access cards for Bosch B and G series control panels from the Connect ONE application. 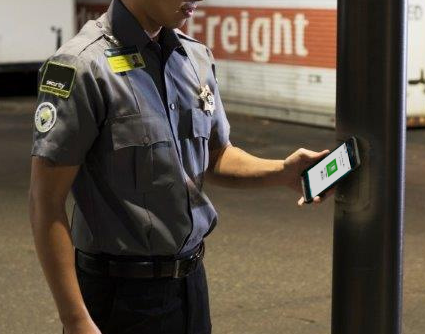 The access card management is in addition to the passcode management that already existed and is all on the same screen for quick & easy changes. 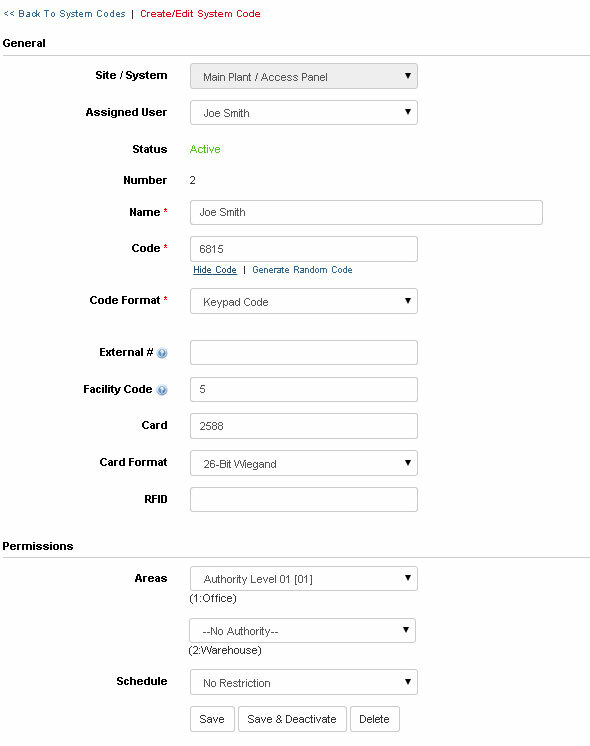 Along with access cards you can now also manage and assign the RF button keyfob id's for a user. Bosch B9512G and B8512G panels support 26-bit wiegand and 37-bit wiegand credentials. 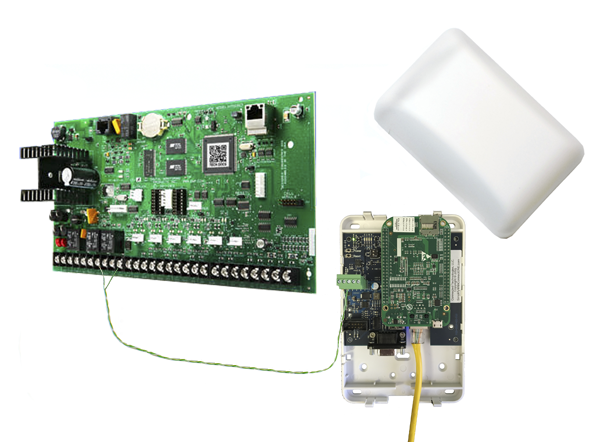 Bosch B5512, B4512, and B3512 panels support 26-bit wiegand credentials. 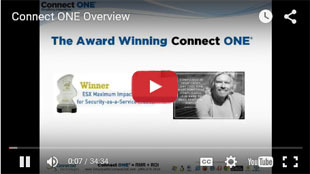 Video Event Share, ELK Direct Connects & More! Video Verification, Triggered Lockdown & More! Now your customer can enjoy energy management via the Nest Thermostat and integrate it with DMP and ELK control panels via Connect ONE. 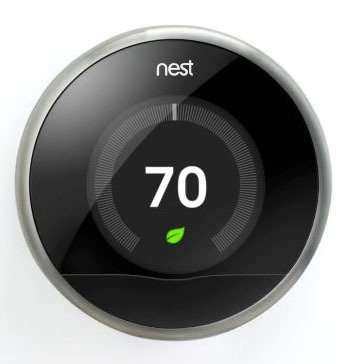 They can also use Connect ONE to control their Nest thermostats and view current temperature and modes. 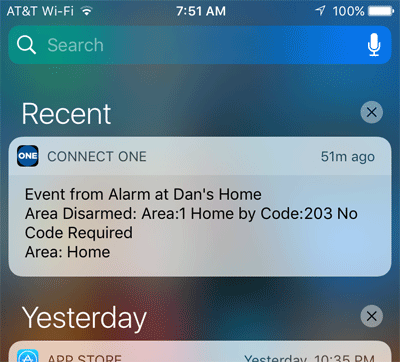 The integration requires zero hardware other than the Wifi Nest Thermostat and the DMP or ELK control panel, all the magic happens in the cloud with Connect ONE. There is a new button now on the dealer site when you go to the codes for a device. It's labeled "Assign New User". You can first check the codes you want or choose All at the top then click the button. It will ask you what login profile to use and click continue. All codes selected will get new users created for them automatically. 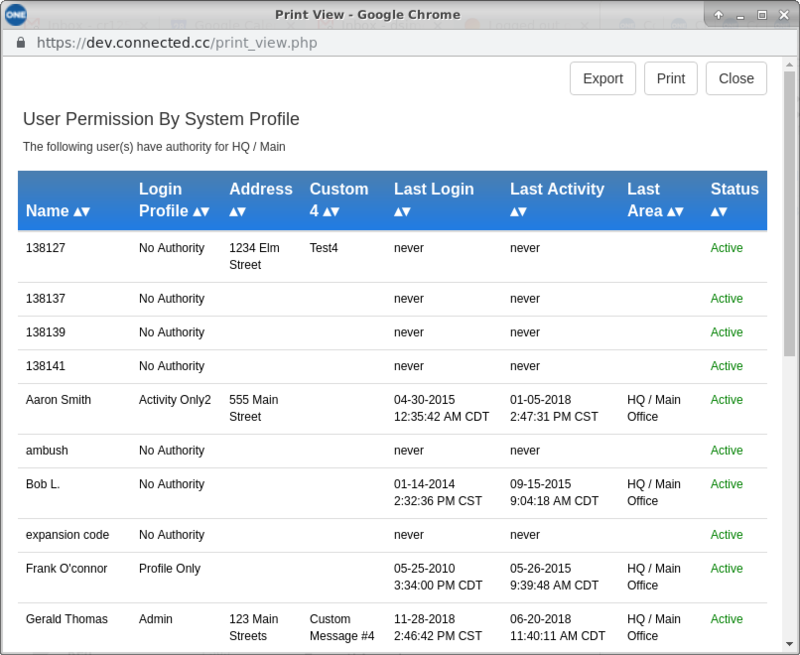 Custom Fields available for storing User Information! 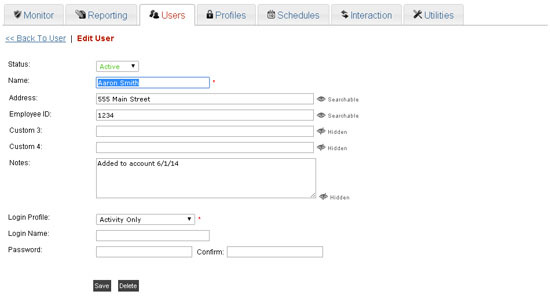 Now your customer can individually name and store up to five custom fields of information about a user. Each field may be set to be searchable or hidden. If set to searchable then the contents will be shown in the user list and will allow for sorting and searching of the information. New Reporting Layout! 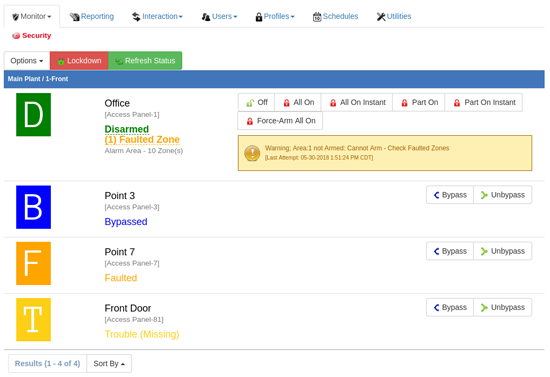 Now a single screen shows predefined reports and your customer's custom reports. Now faulted zones are shown when the area is disarmed, hovering or tapping will show a list of zones faulted. Android App - Now Available in the Play Store! The App supports all of the mobile features and is now available for download from the Google Play Store. This will provide a easier path for the customer to use the app without needing to store the bookmark icon to their homescreen. 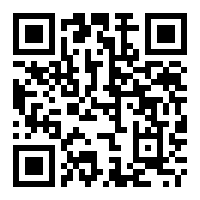 Updated Mobile Application for all Devices! The Mobile Application for all devices has been updated: Improved Look & Feel Improved Performance Faster & Better Quality when Viewing Video "Set to My Home Page" button added - i.e. default to the Arm/Disarm page. 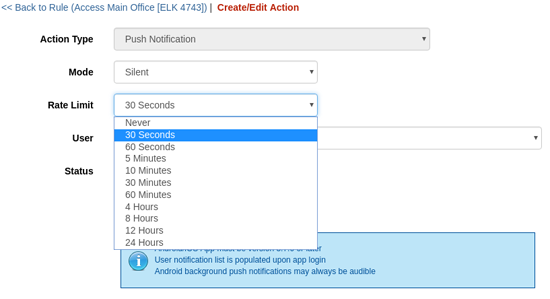 A new option is added to any Time, Area, Door, or Output Schedule which allows it to become temporary and therefore it will automatically be removed after the time specified. This is great when the customer requires a door to be unlocked at certain times each day but only for the next week. 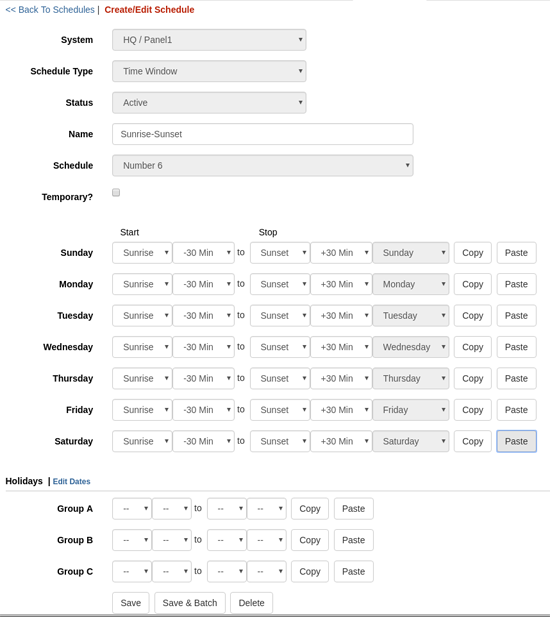 Previously that schedule would need to be removed manually, whereas now Connect ONE will automatically remove the schedule. 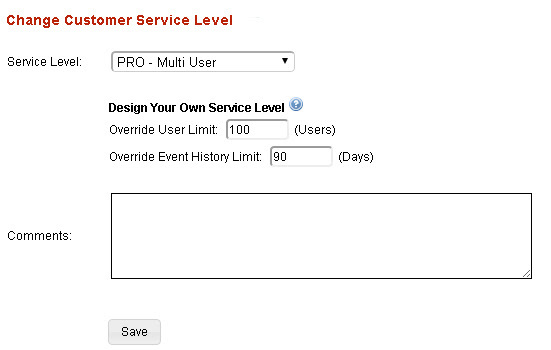 Now you can design and build your own service levels by setting an override on the customer service level. You can take our PRO version and break it up into multiple levels. For example you can have a standard PRO level of 100 users and 90 days of event history. 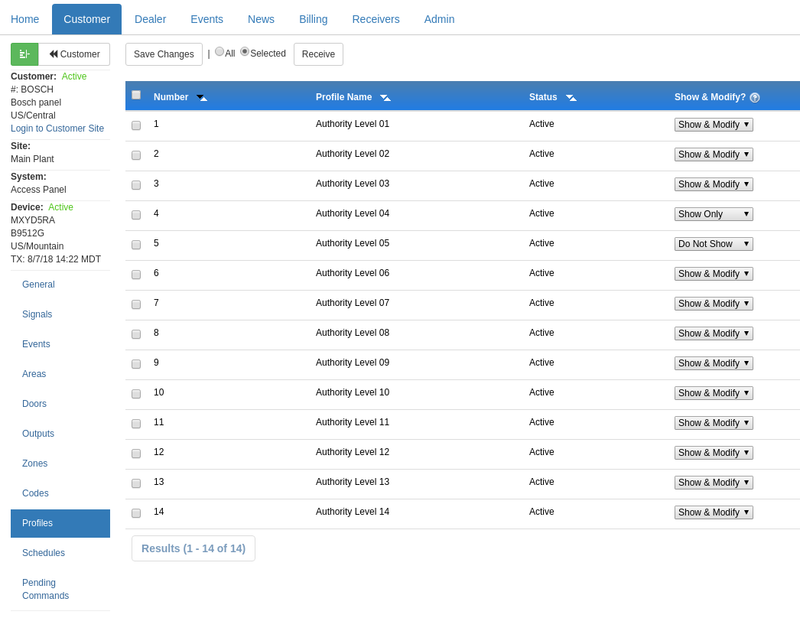 Then build additional service levels to expand the user count and event history. This will increase your RMR and profit margin as the needs of that customer grow. Regardless of how you use the overrides your cost will not change. 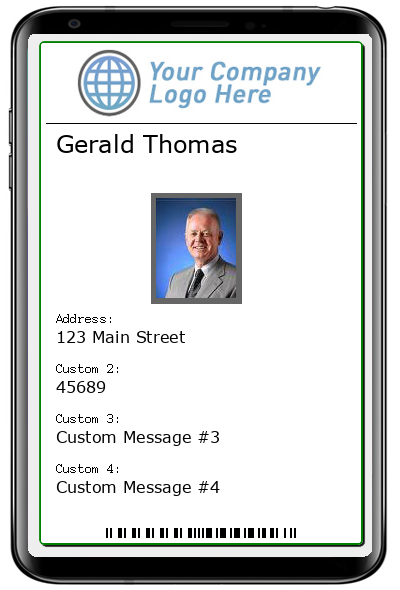 Now your customer can use the same login screen to take them to either the desktop or the mobile application. The default action for smart phones and tablets will be the mobile site but the customer can override this setting using the dropdown box. 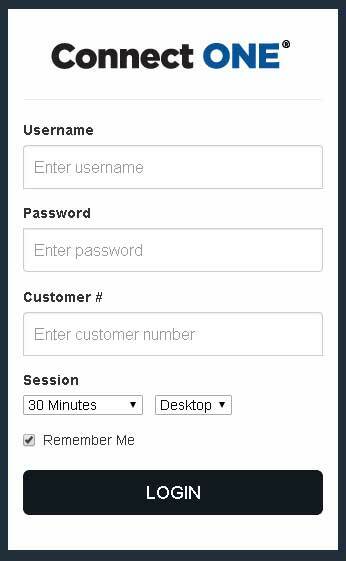 Remember you can build the customer login into your website so you can continually promote your products and services. Please contact us to get the updated html code to use on your website.